I love Cinderella. She’s my all-time favorite Disney princess. I’ve watched the Cinderella movie like a hundred times. I know the songs. I love Gus Gus and Jac. I love love LOVE it. So it’s a no brainer that I really made sure I catch the latest take of Disney on this favorite fairytale. My verdict? I didn’t like it that much. :’( I guess I set the bar a little too high. 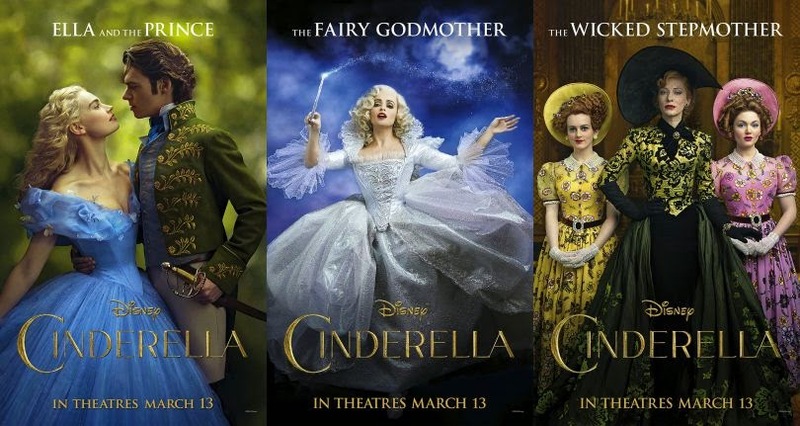 The main reason why I didn’t like it is because of Lily James – the lead actress who played Ella/Cinderella. IMHO, she’s not fit for the role at all. She was not able to show/convey the “real Cinderella” I grew up watching. I hate her dreamy-like facial expression. I hate that scene where she was walking down the stairs on the grand ball. It looks soooooo, so unreal. So fake. I don’t know. Yep, she’s pretty. And her waist! OMG! It’s like 10nches tops. So tiny. But really. The fun side of Cinderella was gone. The regal attitude. Brandy’s portrayal of Cinderella was a hundred times better. Way way better. And she, acting with Helena Bonham-Carter and Cate Blanchett is cringe-worthy. Nilamon sya ng buong buo nung dalawa. Grabe! I also wish they kept Bruno (the dog) and didn’t replace it with a goose. Hahahaha! Bruno would’ve been so cute. But the rest was okay. The Prince is sooooo charming. And of course Helena Bonham-Carter’s role, although short is very wonderful. Iba talaga si Queen Helena. And Cate Blanchett was just awesome. She was so regal. She was very beautiful. Even the 2 step sisters did an awesome job. Si Cinderella lang talaga yung fail. Hay! The cinematography and over all look and feel of the movie is superb. Halata mong pinagkagastusan. Although I wish they also kept the singing parts. Gus Gus and Jac singing “Cinderelli! Cinderelli! Wash the dishes, do laundry..” would have added some more depth to the movie. Hihihi! Anyway, this film is still extra especial because it’s the #FabSkye’s first movie date ever. Yep! She was with us at the cinema. Grabe. And to say that she had fun was an understatement. She was sitting merrily on he booster chair while munching on her potato sticks. Hahahahaha! Ang cute. And she was so amazed with the giant telly. When Frozen’s trailer was shown, she was watching intenty. And she was even dancing while Cinderella and the Prince was dancing. Cute much!! Another milestone. Another first. I’m just so happy that I am able to give her this experiences. She’s such a smart girl. And this experiences are helping her a lot. It’s a Friday. Last working day. I’m so glad it’s almost weekend. Can’t wait to play with the baby for 2 days. And probably blog some more. Have a great Friday guys.